Well Folks it's been a long ride for those who've traveled with Walter White on his journey from Mr. Chips to Scarface. 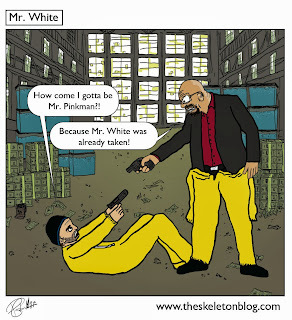 I'll be sad to see tonights Breaking Bad finale but cant wait to see how it all turns out. I hope Jessie comes out of it a bit better than previous episodes.